Welcome to ArtPrimo.com, your independent online artist warehouse since 2003! 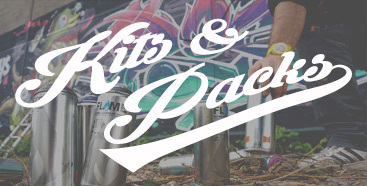 We offer thousands of supplies for graffiti, aerosol art, street art, sticker making, stenciling, crafting, DIY projects, home improvement, and industrial marking. At Art Primo, we believe artists and their creations have the power to change the world- let us arm you with the tools and knowledge you need to make a lasting impact with any medium. We offer free how-to videos, tutorials, product reviews and a blog to give our clients the guidance they need to find the perfect product. Still struggling to make a choice? Please call our friendly and informative customer service representatives for customized guidance and product insight- each and every member of our team is an artist, too. 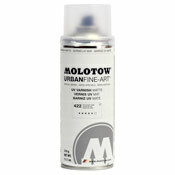 Check out our site to find cutting edge aerosol paint technology and a gigantic color range featuring offerings from Molotow, Flame, Montana Gold, Montana Black, Coversall, Burner Chrome and more. 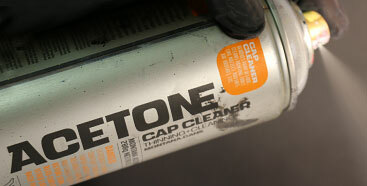 We also carry the largest array of male and female spray paint caps available anywhere! Looking for pens? Check out our marker and ink collection! Our site contains an enormous variety of marking solutions: paint markers in all sizes, opacities and colors as well as empty pens, markers, and mops waiting to be filled with the ink or dye of your choosing. Brands include: On The Run, Decocolor, Sakura, Pilot, Uni, Posca, Pentel, Marsh, Garvey, Smash Ink and more. Call us for private label, color matching, custom markers and marking tools. Not only do we have what you need at a reasonable price, but we will get it to you quickly! Art Primo offers Next Day ground shipping to most cities in Washington and Oregon: Seattle, Olympia, Tacoma, Everett, Bellevue, Kent, Renton, Lynnwood, Shoreline, Spokane, Portland, Vancouver and more. Ultra-fast shipping to all states, major cities and surrounding areas: New York, New Jersey, Los Angeles, San Francisco, Sacramento, Chicago, Atlanta, Minneapolis, St. Louis, New Orleans, Houston, Dallas, El Paso, San Antonio, Phoenix, Las Vegas, Denver, Miami, Baltimore, Washington D.C., Boston, Detroit, San Jose, and others. Please refer to our shipping estimate chart or call us for more detailed information. International shipping to hundreds of countries including: Australia, New Zealand, Japan, Hong Kong, China, Philippines, Mexico, Chile, Argentina, Brazil, Colombia, Germany, Spain, France, and many more. Fast low cost shipping options to Canada, Hawaii, Alaska, Puerto Rico and Guam. Wholesale accounts available for qualified stores. Bulk pricing available for businesses and professional muralists. For pricing inquiries and wholesale information, please contact our warehouse for specialized assistance. Thank you for choosing Art Primo!